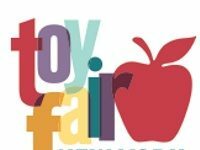 The hottest new toys, games, and youth entertainment products will come to life this weekend when the 115th North American International Toy Fair – the largest toy show in the Western Hemisphere – opens its doors at the Jacob K. Javits Convention Center in New York City. Produced by The Toy Association, Toy Fair will open Saturday, February 17, with an 8:55 a.m. ribbon-cutting ceremony and a parade of costumed characters led by seven-year old Abby Emory of Carmel Valley, CA, who won a trip to New York and access to Toy Fair through a “Golden Ticket” contest at Gepetto’s, her local toy store. Toy Fair will welcome about 1,000 members of the media who will scour the show floor for innovative playthings, retro toys, licensed product, and everything in between. Media and buyers are invited to The Toy Association’s annual Toy Trends Briefing, during which experts will announce the top trends of 2018 using product examples from the show floor. Held on Sunday, February 18 at 4 p.m., the seminar is free and open to all Toy Fair attendees.